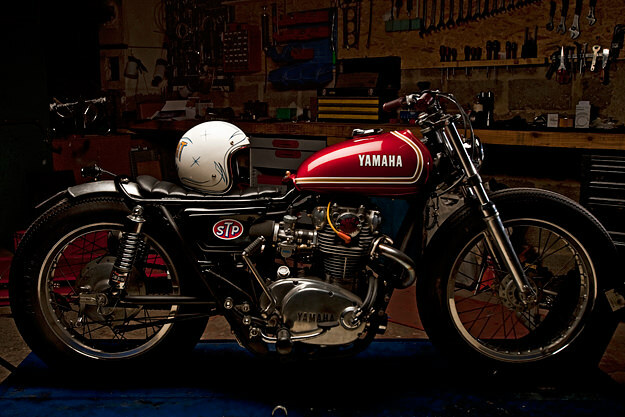 Paris-based ‘Sonic Seb’ of The Lucky Cat Garage has immaculate taste. 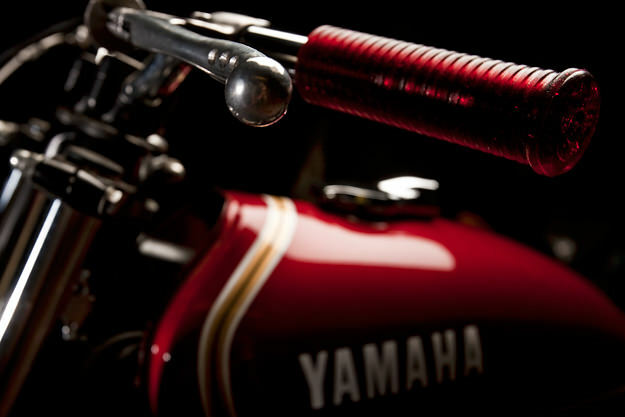 This gorgeous Yamaha XS650 is his personal ride, beautifully captured by the photographer Dimitri Coste for Sideburn magazine. 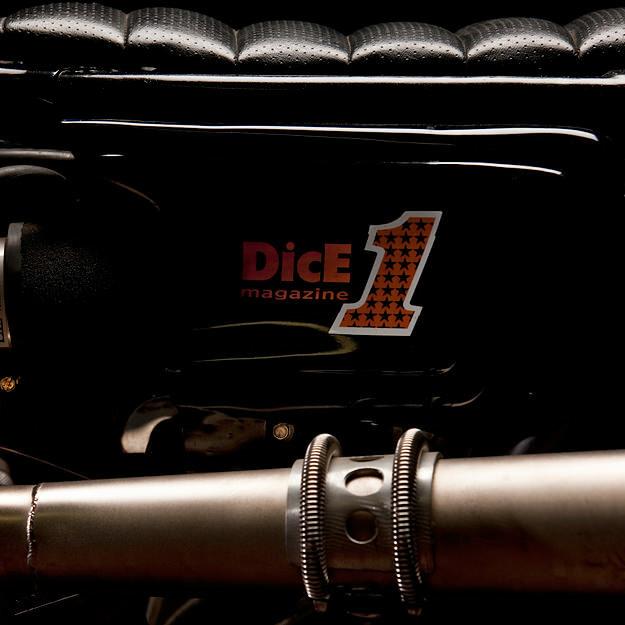 Seb works for a major European motorcycle manufacturer, and he’s a pure gearhead. 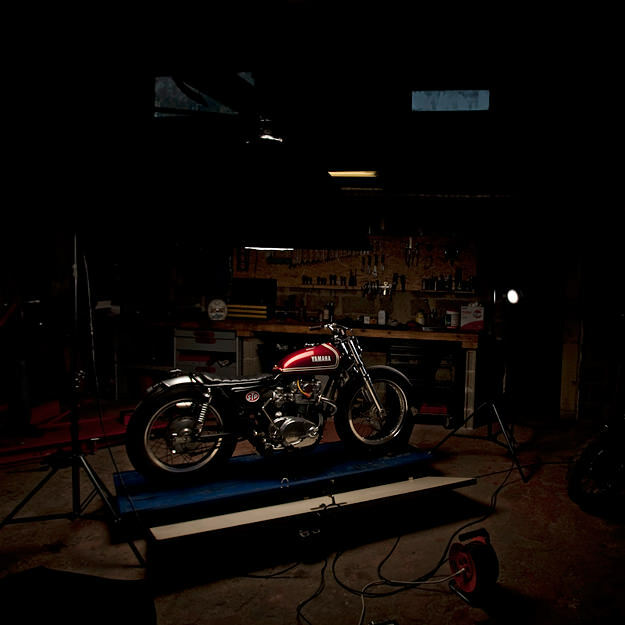 So he did much of the work on the XS650 himself, in a fantastic communal garage that he shares with friends—complete with paint booth and dyno room. 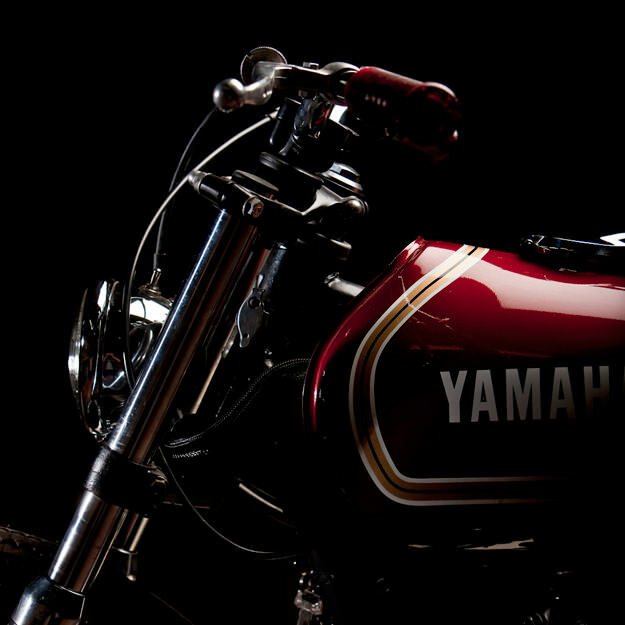 This XS650 is heavily modified, with the most visible change being a tank from a 1970s Yamaha DT360 enduro motorcycle. The two-into-one exhaust is from Gordon Scott Engineering, with a go-kart style spring bracket added by Seb. The electric start has been removed to save weight and Mikuni VM34 Roundslide carbs fitted to add power. Keeping the motor cool are a large capacity external oil filter and high performance oil pump from Heiden Tuning. 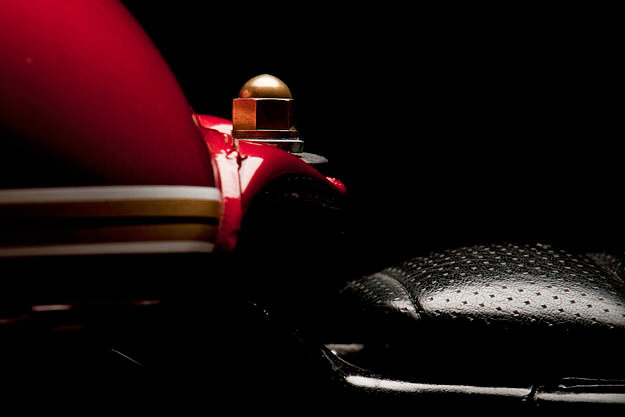 Seb shaved the fork legs, and since these photos were taken, he’s fitted a front brake. The shocks are Harley-Davidson, and the alloy rear fender was found by chance on a shelf. Grips are from the magnificently named Hippy Killer Garage. 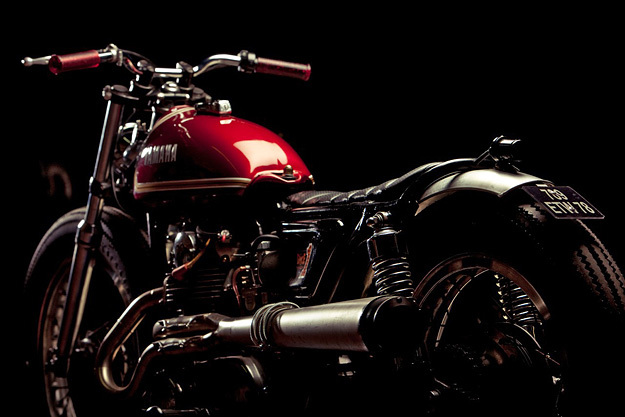 To read more about this bike, grab yourself a copy of Sideburn 7. With thanks to Gary Inman and Dimitri Coste.